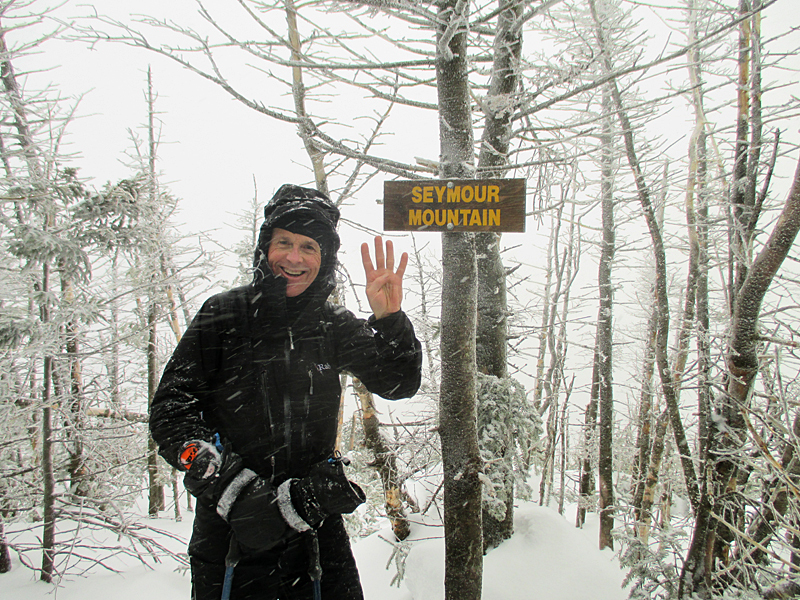 Project 46 – Page 3 – A one-man fund raising event reaches for each of the Adirondack 46 high peaks. Day 1 & 2 (Santanoni Range) recap. Snatanoni. Final Peak of Day Two. Day one, while beng very smooth, was pretty long taking a full 14 hours to complete. We were on our final summit, Mt Seymour, at around 4:30 and knew we had 9 miles to hike out. 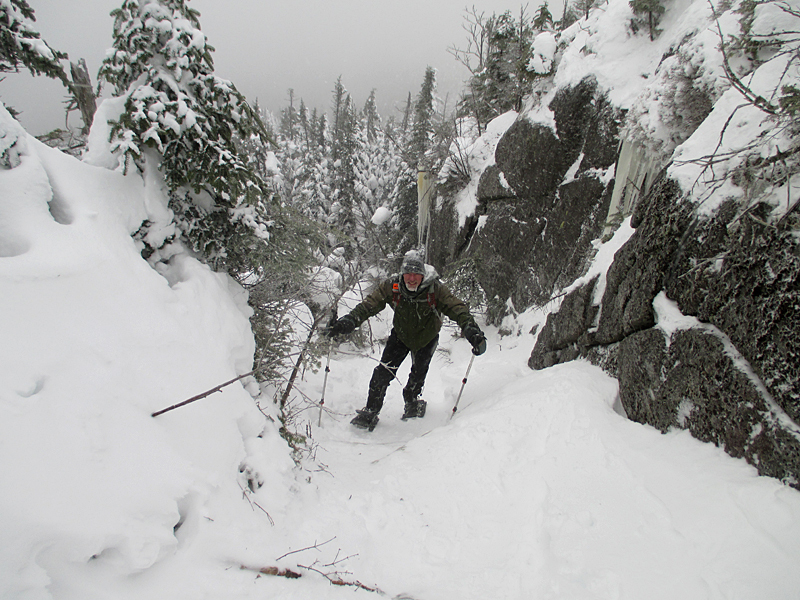 The descent of Seymour was a blast in perfect trail conditions that allowed us to skid down on our snowshoes using telemark ski technique. But then came 8 more miles in the dark along a mostly flat trail and a road for the final 3 miles. I had been awake since 3 (couldn’t sleep) so focussed on energy conservation. Tom Penders was a great partner. 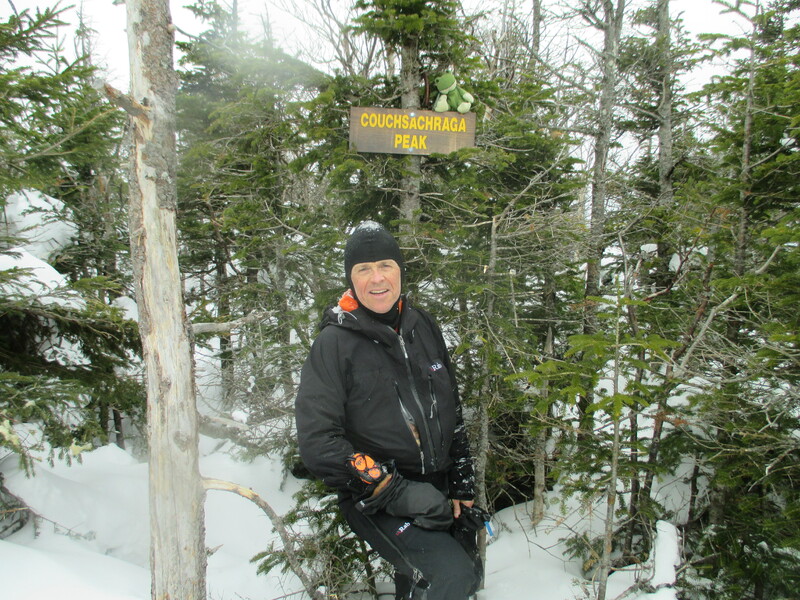 He and I have done a number of big hikes together and besides being a lot of fun to hike with he brings the most amazing amazing home-made jerky! 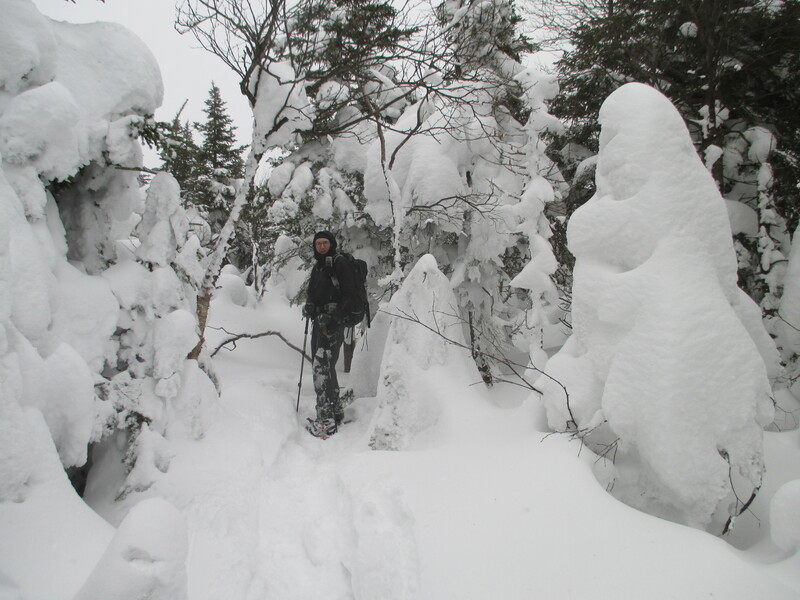 Huge shout out and debt of gratitude to Cory Delavallé who, with Albee, broke out the trail down the North side of Seward through 3 feet of snow with no base. I had recorded a GPS tracklog last November knowing it would be the toughest section of the entire day but having the trail freshly broken out saved us at the ery least an hour. Cory knew so he went. In addition David Gomlak of Topo and Tmax hostel fame went in and did Seymout to make sure it would be all broken out. Thanks guys! This morning, I was up after 5 hours sleep and at 6 Joe Bogardus and David swung by to pick me up at 6 for the Santanon Range, which we did in 9 hours, give or take. The trail conditions were perfect. 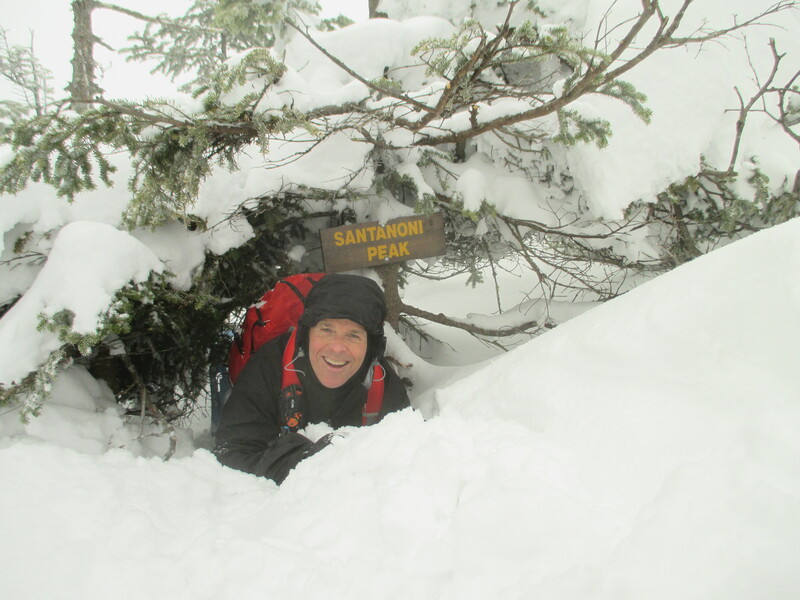 The 2000 foot descent of Santa via the direct trail was a dream of plunge stepping into steep and deep powder. Easy on the legs and very fast. 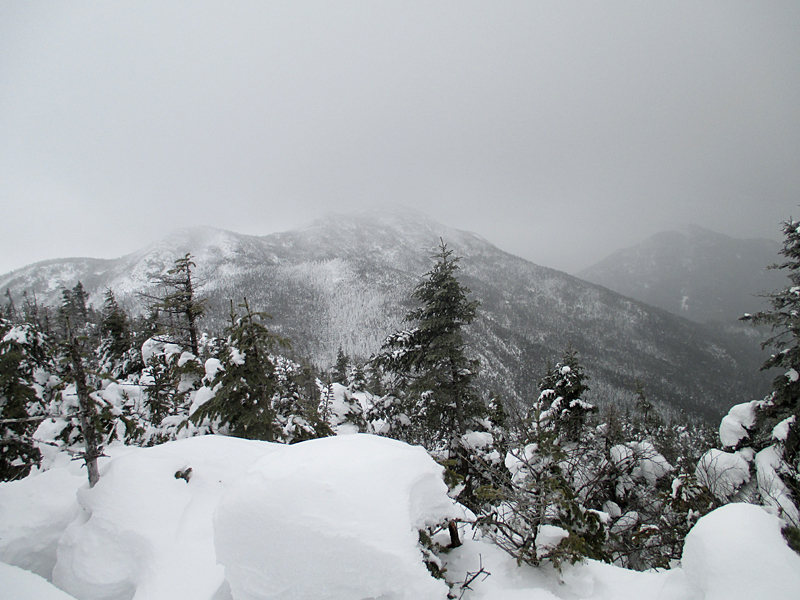 There is an incredible amount of snow on the east side of Santanoni. Joe and David Just Below Santanoni. 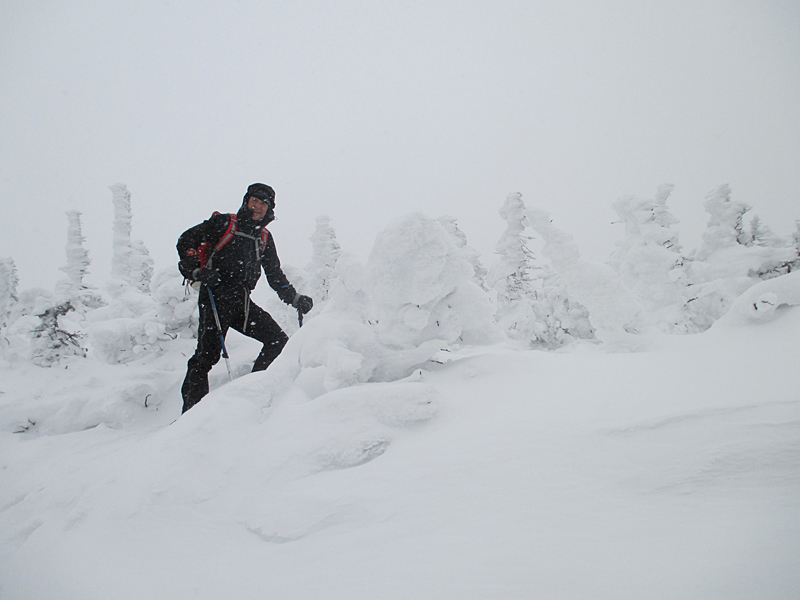 Joe in Big Snow on Santanoni Ridge. 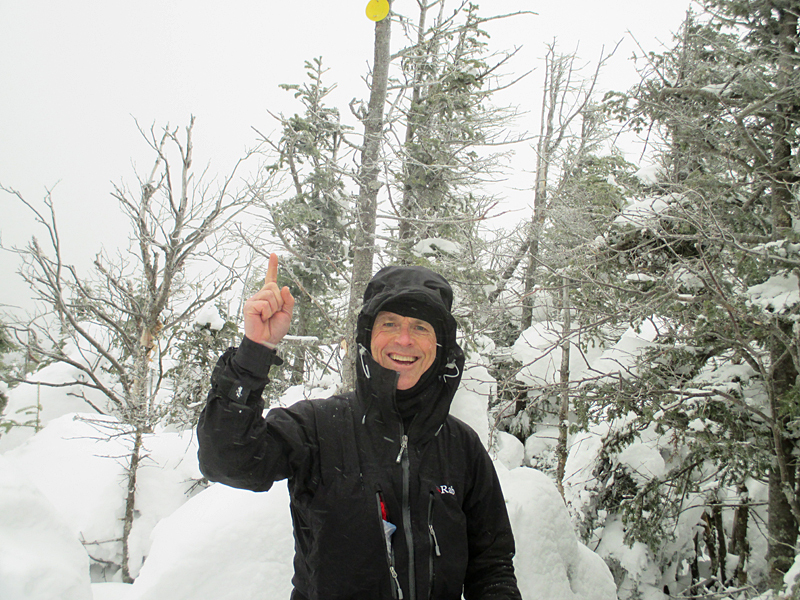 I lost my camera and David went back down the trail and spent 30 minutes hunting for it and found it! Another big thank you David. I’m being treated like royalty by Tom and Doreen, which is something I could get used to quite quickly, although Tom says only for ten days! Tomorrow will be a big day after today’s moderate one. Tune in to station SPOT in the morning. 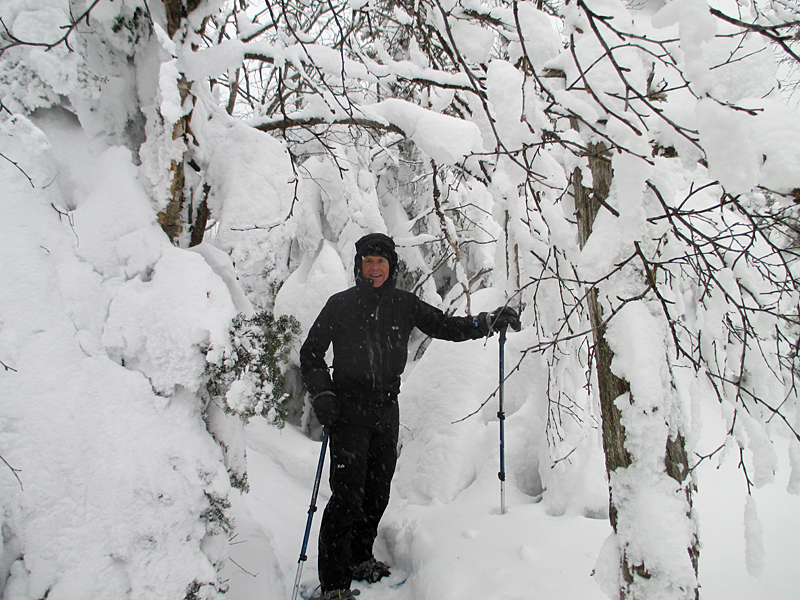 Author NeilPosted on February 19, 2014 February 19, 2014 3 Comments on Day 1 & 2 (Santanoni Range) recap. Neil and Tom climbed the four mountains in the Seward Range (Donaldson Mt, Mt Emmons, Seward Mt, and Seymour Mt) for a solid first day. 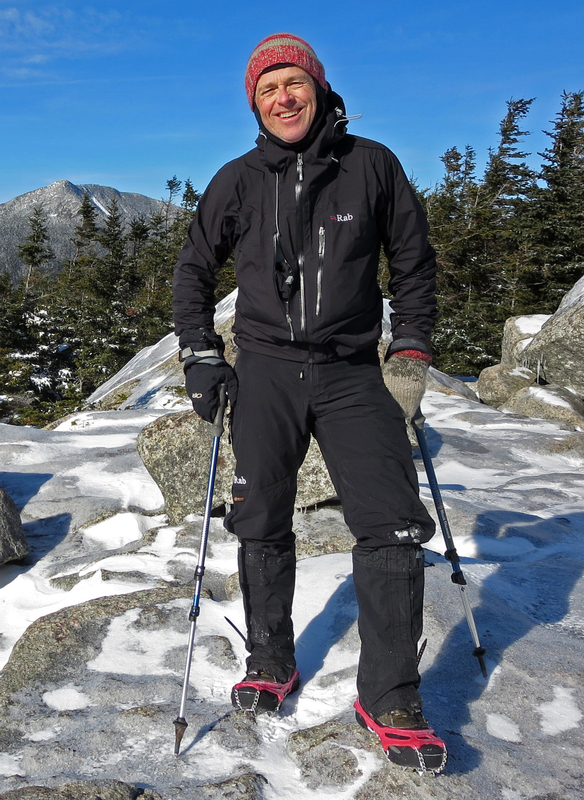 Starting February 18, 2014 , as co-founder and vice-president of the ADK High Peaks Foundation, I will begin a one-man fund raising event in which I will attempt to reach the summit of each one of the Adirondack 46 high peaks. I have a window of 12 days during which I will aim for this goal. 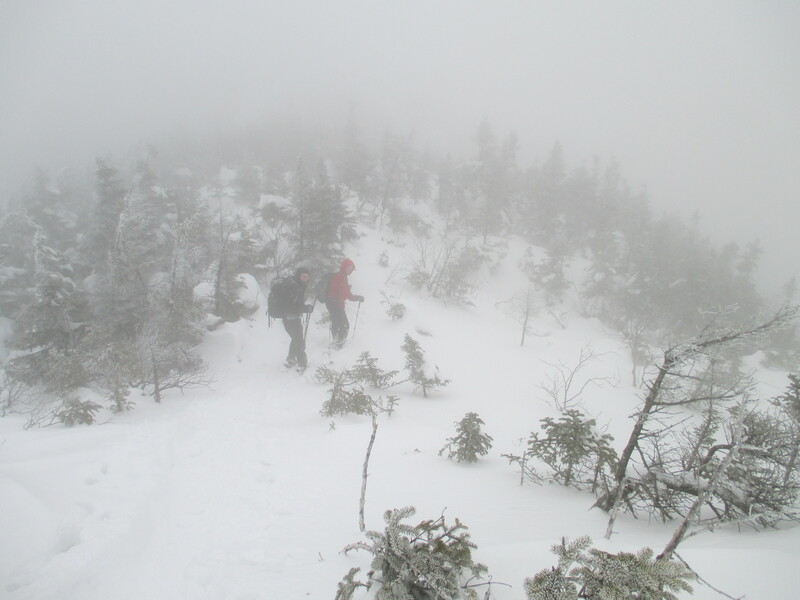 The hike will be completed in time for the ADK High Peaks forum’s 10th anniversary of its winter gathering. 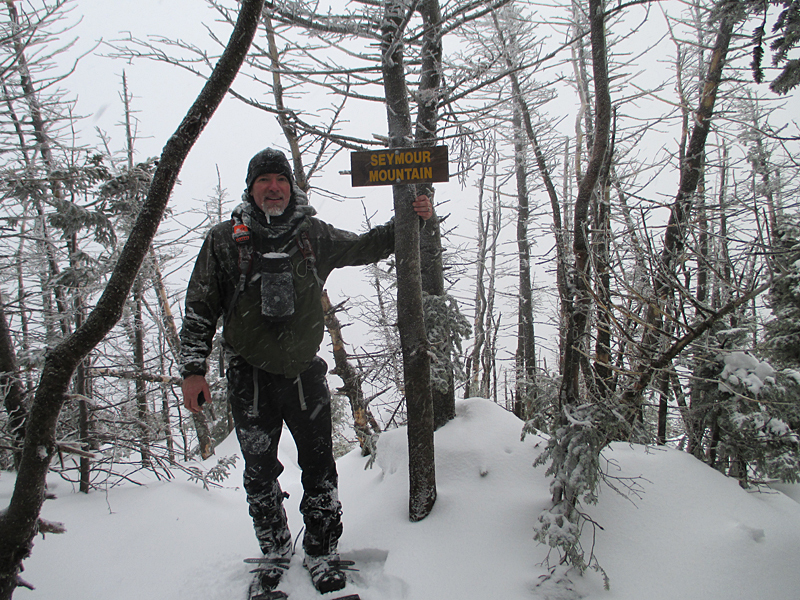 Author NeilPosted on November 5, 2013 December 10, 2013 Tags ADK High Peaks, ADK High Peaks Foundation5 Comments on Project 46.